Brand new, the third full-length album of Evangelist from Poland! 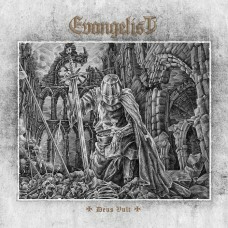 “Deus Vult” it’s a seven epic doom metal tracks. One of the best album of the year! Must have for doom metal maniacs and epic music fans. Highly recommended!CD with cardboard slipcase. Categories: CD-Distribution, DISTRIBUTION, DISTRO STORE. Tags: Doom Metal, Nine Records.